Dignitaries from the Region of Durham, various municipalities, and major sponsors , such as Ontario Power Generation and General Motors Company, were on hand, at the Kids’ Safety Village of Durham Region, in Whitby, on October 12, 2017, to break ground for the expansion of the Kids’ Safety Village of Durham Region. Roger Anderson, Chair of Durham Region; Paul Martin, Chief of the Durham Region Police Service; and Lisa Millar, Director of Education for the Durham District School Board, the original Kids’ Safety Village original 3 partners, together with the founding service clubs, the Rotary Club of Oshawa-Parkwood, represented by Lennis Trotter, and the Ajax Optimist Club, represented by Ron Mortson, welcomed all of the Fire Departments in Durham Region, represented by Terry Von Zuben of the Whitby Fire Department, to the Kids’ Safety Village Team, and all spoke at the ground breaking ceremony. All of these partners spoke very enthusiastically of their ongoing commitment to The Kids’ Safety Village, at the ground breaking ceremony, which was emceed by Terry Johnston, the voice of Durham Region and Radio Station CKDO’s morning man, who is also a Kids’Safety Village Committee member and major volunteer at the Village. 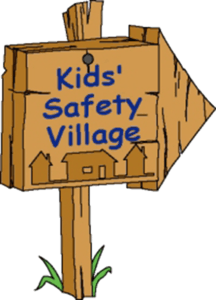 Regional Chair, Roger Anderson, encouraged all of the teachers of grades 1, 2, 3 and 5 to book a trip to the Kids Safety Village and help their students stay street-safe, on the streets and in the spring of 2018, fire-safe in their homes. 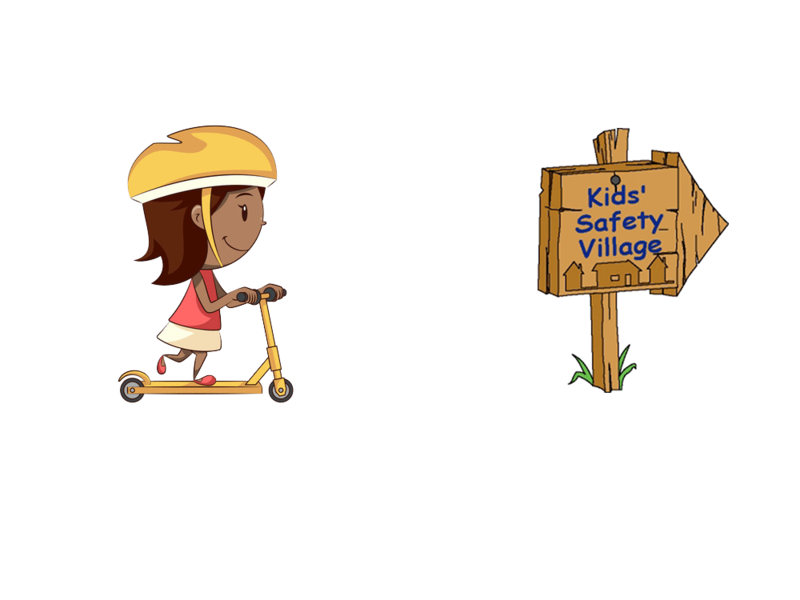 The Kids’ Safety Village remains open, during the construction period to any grade 1, 2, 3 and 5 class in Durham Region, regardless of their school board or affiliation. Ron Mortson, Ajax Optimist and treasurer of the Kids’ Safety Village thanked the many sponsors who have already contributed $484, 000 to the expansion project. He reminded everyone that we are still in need of $150,000 to finish the project. If you know of anyone who can assist with much needed funds in any amount, Ron is very ready and willing to talk to them. They were joined, at the ground breaking, by MP Celina Caesar-Chavannes ,who represents the riding of Whitby, MPP’s Jennifer French and Lorne Coe, Mayors John Henry of Oshawa, Don Mitchell of Whitby, Dave Ryan of Pickering, and many Councilors including Joe Drumm, Derrick Gleed, and Michael Emm of Whitby, various school board trustees and other Regional and City Councilors in the various municipalities in Durham Region, and by many members of the Durham Regional Police Service, members from all of the Fire Departments in Durham Region, and by many members of the Rotary Club of Oshawa-Parkwood and the Ajax Optimist Club, and by Beth Selby and Emmy Iheme, Rotary International District 7070’s Assistant Governors. The Kids’ Safety Village of Durham Region has just started to expand its main teaching building to include a fire safety component. When completed, Durham Region fire departments will teach fire safety in the new interactive classroom equipped with a full kitchen, living room and bathroom with features that simulate fire and emergency situations. The expansion includes larger washrooms, community meeting facilities and better accessibility throughout the Village. In addition, roads and sidewalks need to be upgraded and resurfaced, as well as general maintenance to the existing buildings and features within the grounds like the railway crossing. 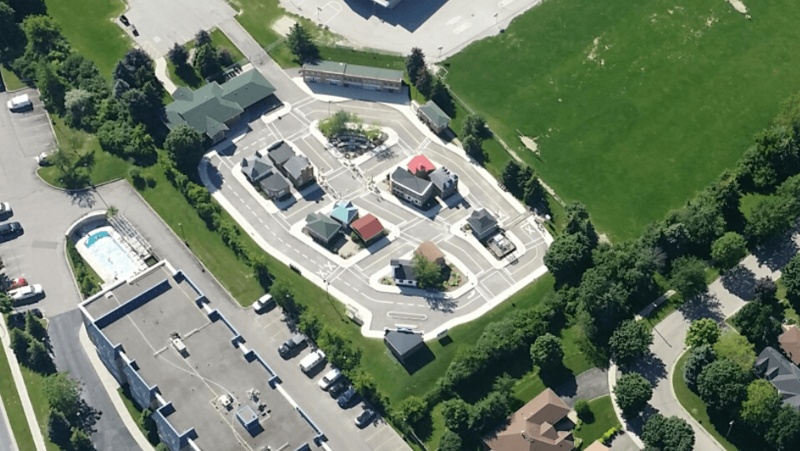 More than 200,000 school-aged children in Grades 1, 2, 3 and 5 from schools throughout Durham Region have toured and continue to tour this site throughout the school years to learn about safety. These programs range from bike safety and rules of the road to reacting with strangers, all conducted by the Durham Regional Police Service. We now turn our attention to a major expansion of the classroom to incorporate fire safety so that both key elements, police, and fire, will be housed in one facility. The expanded facility will also allow more children in our rapidly expanding Durham Region to attend the safety lessons in the Village. Every year, the DRPS and its Police Services Board invest approximately $60,000 in maintenance. This year the entire village was repaved using these funds and those raised by the volunteer Kids’ Safety Village Board. And the Region of Durham upgraded all of the traffic lights in the village. The 20-year lease renewal means students from Durham Region will continue to visit the village for class trips and enjoy community events, such as the Halloween Haunt (October 28), the Christmas at The Village ( November 17 to 25) and the Easter Eggstravaganza (Easter Saturday) and Bicycle Fun Day (in May). The Durham Regional Police Service would like to thank its partners in this venture: the Police Services Board, the Durham District School Board and the Kids’ Safety Village Board and welcome their newest partners, the Fire Departments in Durham Region. And we are still funndraising to help make the next 20 years a reality asking the public to donate to The Kids Safe ty Village of Durham Region. We thank the many sponsors who have already contributed $484, 000 to the expansion project., and we need everyone’s help to raise the balance of $150,000 to finish the project.